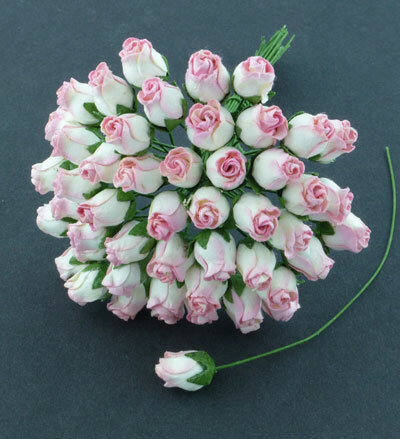 2-Tone Pink rosebuds handmade from fine quality mulberry paper. Each rosebud is 0.8cm - 1.0cm across the widest part of the bud, and the bud height is 1.2cm - 1.3cm, with a 8cm green wire stem. Price is for a package of 50 handmade mulberry paper rosebuds.